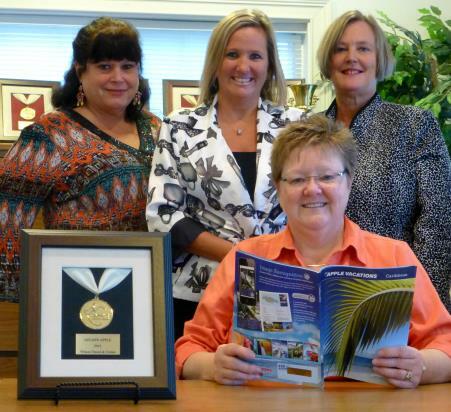 With over 52 Years in business, Wilson Travel & Cruise is once again the Fox Valley's number one name in travel! Our staff is comprised of award winning, world-wide travel specialists, group travel pros and destination wedding experts. We are committed to providing you a comfortable, one-stop vacation planning experience. We strive to fit you with the right destination choice while saving you money, precious time and most of all... ''internet overload''. We are excited to start planning your next vacation! A Harvard researcher recently reported that 96% of responders they interviewed about travel experiences said, the best trip of their life was planned by a travel agent!!! Not sure when... or where they'd like to go? For every occasion...Give the Gift of Travel ! Wilson Travel & Cruise Gift Certificates available in the amount of $100 or more! Booking a trip often proves to be an extremely stressful, grueling undertaking. You can spend hours online searching for deals on flights and hotels, bouncing from one website to another in pursuit of the perfect price. Most ''do-it-yourself'' travelers worldwide said it took them more than five hours to search and book travel online, according to a recent survey by the I.B.M. Institute for Business Value. To avoid the hassle, and feel secure in their purchase, consumers are turning back to travel agents.